The component in turmeric root responsible for the many health benefits it has to offer is called curcumin. When supplementing curcumin, absorption is the name of the game. 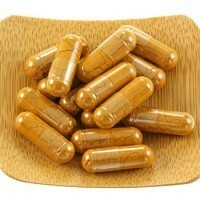 Curcumin is extremely beneficial for our overall health, acting as a powerful antioxidant and anti-inflammatory agent. The problem is, we typically only absorb about 2% of the curcumin we ingest. 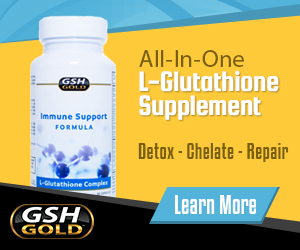 Thankfully, many dietary supplements have found solutions to this absorption issue, increasing the bioavailability and therefore the benefits. Here is a look at some of the top curcumin supplements on the market. These four curcumin supplements are in no particular order. We discuss our top pick at the bottom of the article. Other Ingredients: Rice flour, cellulose, ascorbyl palmitate. Our one problem with the Viva Labs Curcumin C3 Complex is the fact that they use rice flour as a filler ingredient. We are never a fan of unnecessary filler ingredients, and rice flour is often found to contain GMO’s. Other Ingredients: Vegetable cellulose, rice flour, vegetable stearate, silica. Rice flour is used as a filler ingredient, an unnecessary filler ingredient we generally avoid whenever possible. The process used to formulate the BCM-95® includes extracting essential oils using steam. There is a concern that the heat used to extract the essential oils could damage the molecular structure, however this is just an assumption. Other Ingredients: Microcrystalline cellulose, vegetarian capsule, magnesium stearate, silica. Microcrystalline cellulose is a refined wood-pulp used as a filler ingredient. While we are never a fan of filler ingredients, it is a step above rice flour. Other Ingredients: Hydroxypropyl methylcellulose, microcrystalline cellulose, polyglycerol oleate, silicon dioxide, metolose, medium chain triglycerides, sodium alginate. The Curcumin Advanced formula incorporates fat-based ingredients, which is a bonus considering curcumin is typically solely fat soluble. However the micro-particles in MicroActive® Curcumin are supposed to be water-soluble as well. While none of the above curcumin supplements are “perfect”, they all address the absorption issue in a different way. They far exceed the typical benefits of a curcumin supplement. Our first choice would probably be Dr. Mercola’s Curcumin Advanced formula, however we would also recommend pairing it with a Piperine supplement to further enhance absorption. If you think we missed one of the top contending curcumin based supplements, please let us know in the comments and we will take a look.